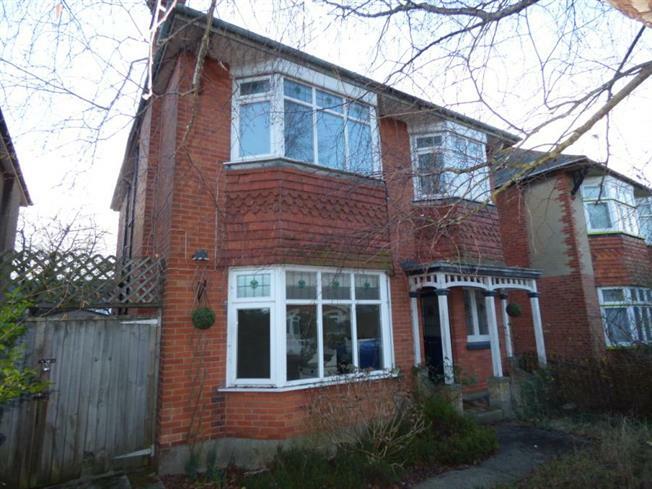 5 Bedroom Detached House For Sale in Bournemouth for £389,950. Offered for sale is this five bedroom detached family home arranged over three floors. The property is situated close to local shops, bus routes and there are schools for all ages within easy reach including the two Grammar Schools. The property requires work both internally and externally and the further accommodation comprises, Two seperate receptions, Open Plan Kitchen Diner / Family Room, Ground floor cloakroom and First floor family bathroom. The property also benefits from Gas Central Heating, Driveway providing off road parking, Garage, Front and rear gardens.